This gallery consists of curtain call bows of American Ballet Theatre (ABT) dancers from 2008 to the current season. I also include commentary on dancers with my favorite YouTube clips. These are photos from a celebration of Paloma Hererra’s 20th year at ABT. She joined ABT in 1991. Before joining ABT, she was considered a prodigy, winning numerous ballet competitions. She came to New York at the age of 15 to study at the School of American Ballet and, after six months, joined ABT. Paloma was promoted to Soloist in 1993. In 1995 at the age of 19, she became the youngest female Principal Dancer at ABT. According to Paloma’s website, she appeared as guest artist at New York City Ballet, Kirov Ballet, Bolshoi Ballet, Ballet Teatro Alla Scala of Milan, Tokyo Ballet, and National Ballet of Cuba, among others. Here is my favorite performance of Paloma’s, a version of Don Quixote with a young Angel Corella, around 1998 at City Center. I took off work to see the performance, which was taped for PBS. 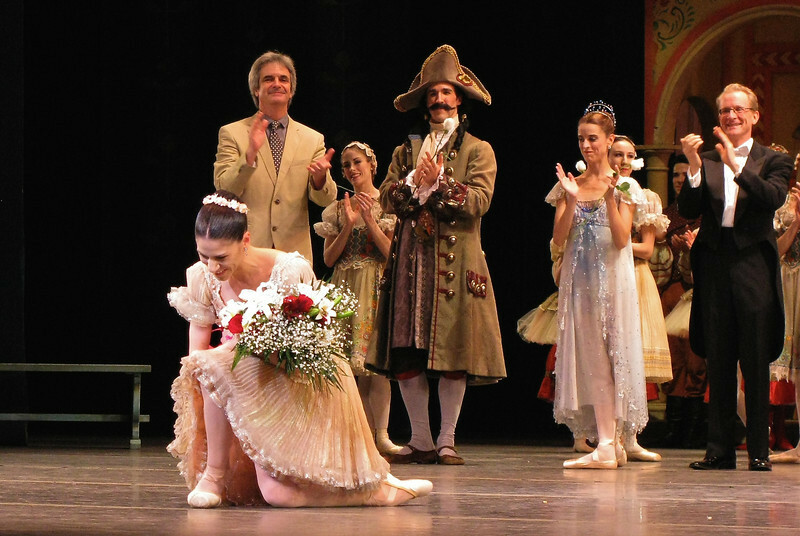 The performance celebrated Paloma’s 20th anniversary with ABT. Angel Corella came in to dance with her in Coppelia for his only ABT performance in 2011. Like final performances, there was a celebration on stage after the performance and extended curtain calls. It was a festive occasion celebrating her anniversary, knowing that she has many performances remaining in her great career.